There seems to be a recent trend on the internet and in the lives of readers wherein long-time fans of books are recreating (or inventing!) favorite scenes that feature descriptions of food. Whether it’s coming up with recipes inspired by the food in books (see my sister’s recent discovery of the new Downton Abbey Cookbook), or simply photographing memorable food moments, there is a literary food explosion! One of my favorites is this blog, called Food Through the Pages, where the blog’s creator, Chelsea Monroe-Cassel, invents recipes inspired by foods largely from sci-fi, fantasy, and historical fiction novels. She is the co-author (with Sariann Lehrer) of A Feast of Ice and Fire: The Official Game of Thrones Companion Cookbook. I have yet to get my hands on a copy of this marvelous-sounding book but the recipes are divided by region (The Wall, The North, The South, King’s Landing…) and sample recipes include Cream Swans, Aurochs with Roasted Leeks, The Old Bear’s hot spiced wine, Three-finger Hobb’s Breakfast, lemon cakes, and honeyfingers. The list goes on. Most of the recipes contained in the cookbook are no longer on her blog, but the blog is full of recipes from all different authors. Some of the most delectable-looking are her recipes from one of my favorite contemporary fantasy authors, Scott Lynch, and his book, The Lies of Locke Lamora. 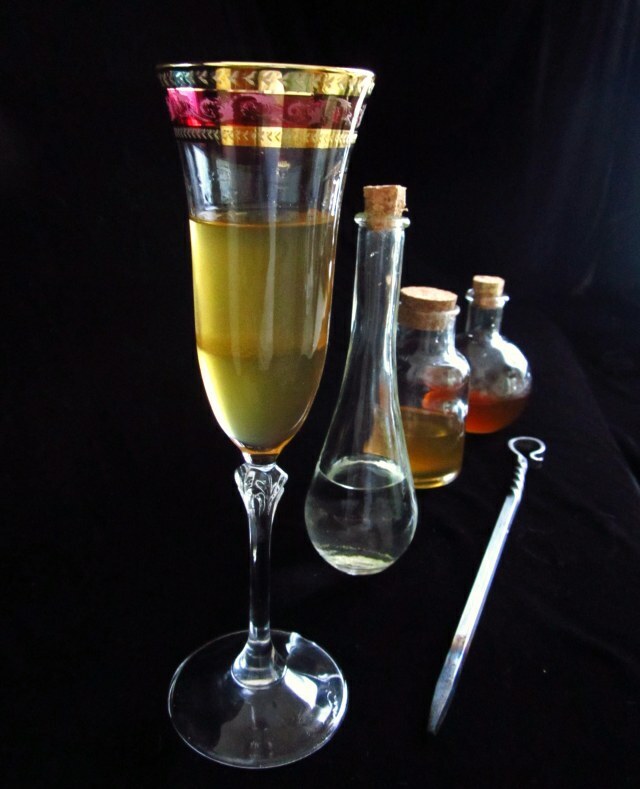 I always drooled over the extravagant descriptions of food in his books, so when I found out that somebody had actually come up with a way to make things like Marzipan Dragonflies and a drink called a Ginger Scald, I was beyond impressed. Other notable recipes include Venison Stew from Diana Gabaldon’s Outlander series, Welsh Rabbit from The Hobbit, Lamb Stew with Dried Plums from The Hunger Games, and of course, Butterbeer from Harry Potter. The great thing about this blog is that she is constantly inventing and posting new recipes, so be sure to keep checking back for more fabulous literary-inspired delicacies. 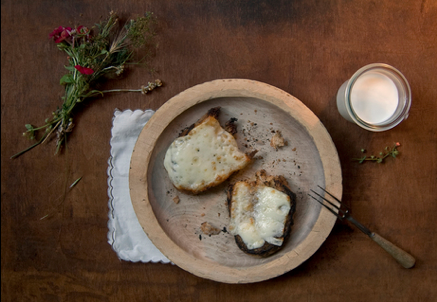 The inspiration for this post comes from an NPR article sent to me by a friend of mine this morning, about a San Francisco-based designer named Dinah Fried, who has been recreating literary meals from her favorite books and photographing them to evoke some of the sensory and emotional tones from the original scenes. Pictured above is her recreation of the gruel scene from Oliver Twist. 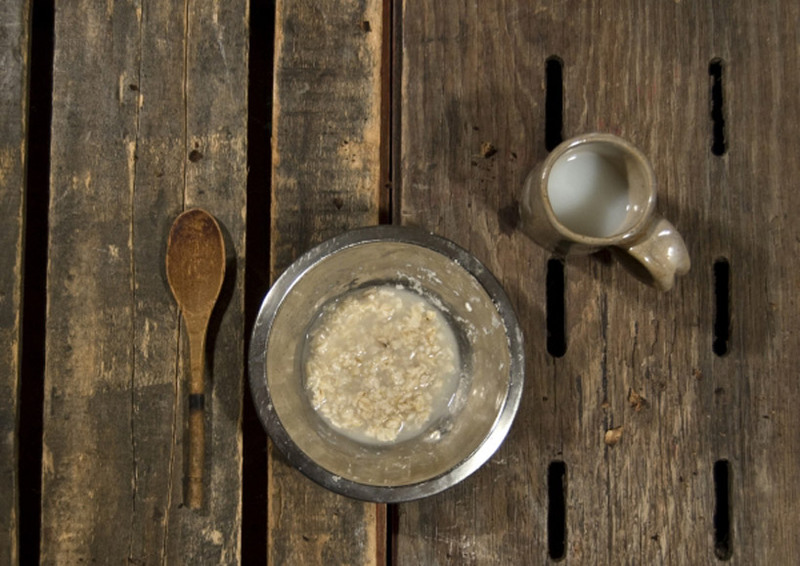 I love the details in this photograph that make it so evocative– the way the gruel is smeared on the edge of the bowl and the watered-down quality of the milk in the mug. Her other images are equally striking; I particularly enjoy her recreation of a dinner from To Kill a Mockingbird and the toasted cheese Heidi eats with her grandfather. When we were younger, my sister and I loved making recipes from the American Girl cookbooks- Molly’s coffeecake and Kirsten’s potato soup were among our favorites. We also had the wonderful Roald Dahl’s Revolting Recipes, which we never had much success with because the recipes were a bit beyond our skill, but we loved poring over the pictures and the names of the different foods. Roald Dahl’s descriptions of food always made my mouth water. I remember in particular the description of the feast they ate every summer with Roald’s Norwegian grandparents- the fresh fish and new potatoes, and always last the heaps of ice cream mixed with little bits of crisp buttery toffee. The other major contender for all-time favorite descriptions of food are obviously The Little House on the Prairie books, but I could do an entire post specifically devoted to that (in fact, I intend to!). That was another literary cookbook we longed to tackle as children but never actually managed more than one or two recipes. There is talk of returning to this task once again, in order to create a true Laura Ingalls Wilder-inspired feast. If this auspicious event does take place, we will obviously do a post about it. I’m sure there are dozens more literary-food related blogs and books out there, so please comment with any that you have come across! In the eyes of this blogger, there can never be too many literary feasts! Oh my gosh, Natty! Please, please, please find that menu! I need to see it! !